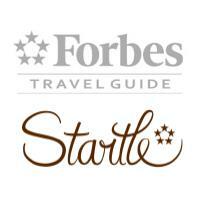 During the last couple of months, I have been employed as a Travel Guide Consultant for the renowned Forbes Travel Guide, contributing a variety of content on cities across Europe for their new online platform Startle.com. To date, I have completed ‘Question and Answer’ projects for ten major cities throughout the continent, namely Edinburgh, Glasgow and London (Great Britain), Frankfurt (Germany), Prague (Czech Republic), Salzburg and Vienna (Austria), Stockholm (Sweden), Warsaw (Poland) and Zurich (Switzerland), and with any luck there will be more guides to come soon. You can keep track of every contribution on my Forbes biography page.